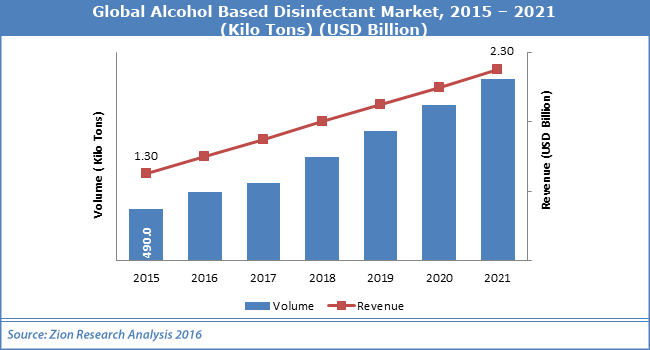 The alcohol based disinfectant market is predicted to demonstrate a huge growth potential, owing to massive competition observed among the key participants in the market, claims a research report by Zion Market Research. The key players of Global alcohol based disinfectant market are 3M Company, DuPont, Vaportek Inc., Kao Corporation, and Ecolab Inc. These industry giants have been competing on the basis of high R&D investments, M&A, product innovations, and geographical expansions. Analysts predict that the firms will continue to implement the same strategies in the coming years in order to gain a competitive edge.